Miracle on Blu-ray/DVD Combo Only $5.99! A great Disney classic! 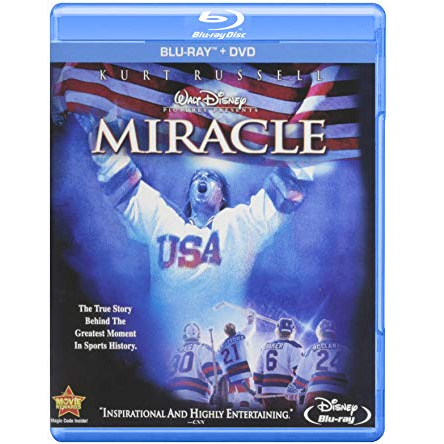 Get Miracle on blu-ray/DVD combo for only $5.99 right now! Now the action-packed true story that united a nation is more exhilarating and suspenseful than ever in heart-racing high definition! Kurt Russell stars as Herb Brooks, the dynamic and determined coach of the 1980 United States Olympic ice hockey team.